This week had a bunch of ups and downs. At the start of the week I sank a bit deeper back into my funk, then later in the weeks things went a bit better again. I managed to go for a few walks this week, soaking up the sunlight as we had some nice days with lots of sun. Although the temperature got a bit colder later in the week, it was still sunny outside, which was nice. I hope the extra sunlight will help me get out of the funk and the walks are a nice way to relax and see all the plants and flowers that start growing now that it’s spring. 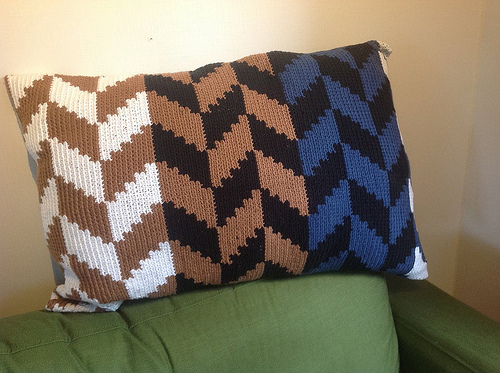 I also am still struggling a bit with being tired, but I think I am almost used to the daylight saving time now. So that’s good. I did a bit of gaming again this week, listened more to my audiobook, did a bit of puzzling and read. Work wise it was a good week. 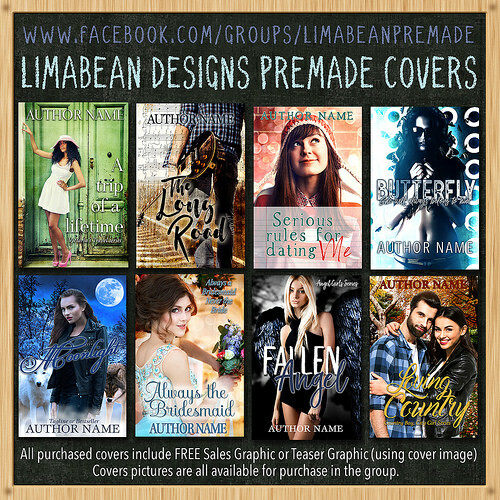 A cover reveal I organized took place and I put the sign-up post live for the blog tour for the same book. 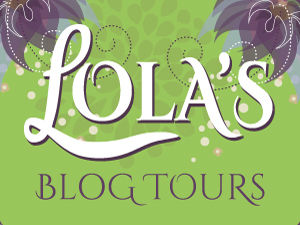 I did a few other smaller Lola’s Blog Tours tasks and some hours assistant work. On Tuesday my mom visited and helped me with my taxes. I am always happy to have that done and it was nice to talk with my mom a bit too. 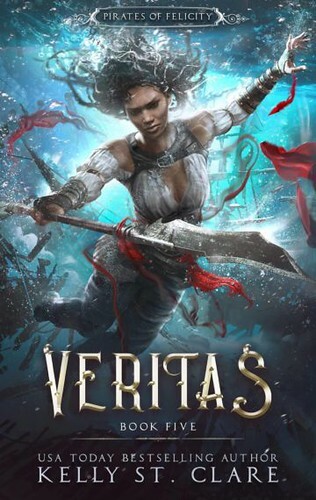 Veritas was really good and I am still really enjoying this series. 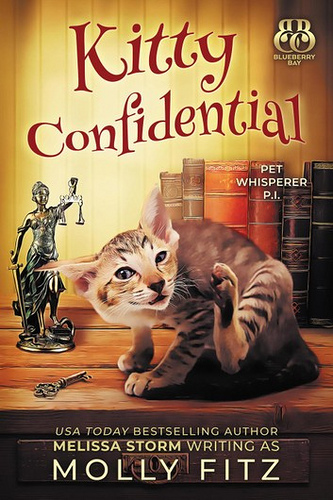 Kitty Confidential was a fun short read and I liked the premise, but the mystery fell a bit flat for me. 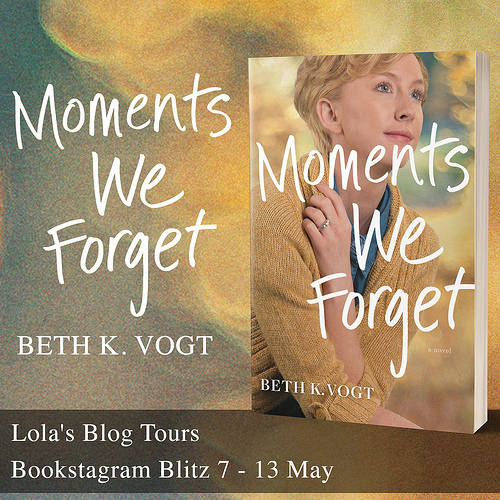 – Blog Tour: My Best Friend Runs Venus – 3 till 16 June – New! 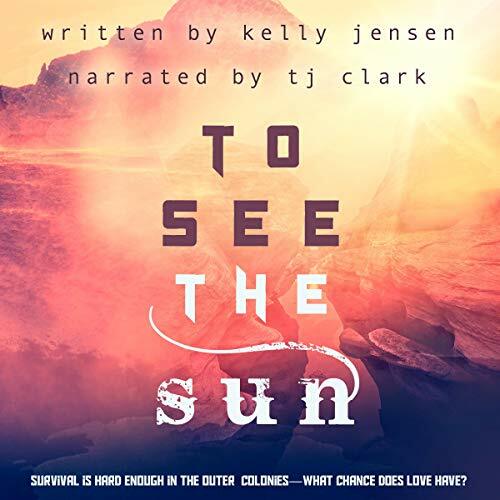 To See the Sun was one of my favorite reads from 2018 and I am looking forward to re-read it in audio format this time. 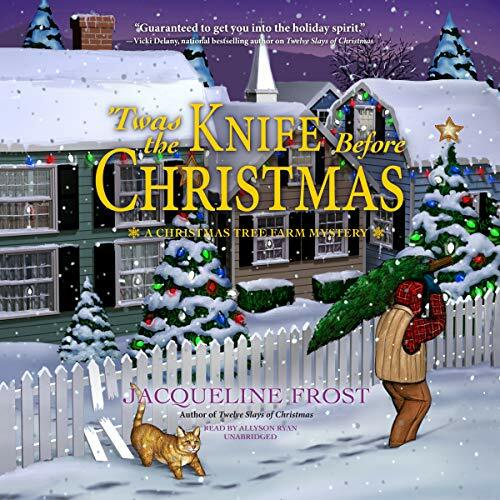 I grabbed it on Audible with one of the credits I won a while back. 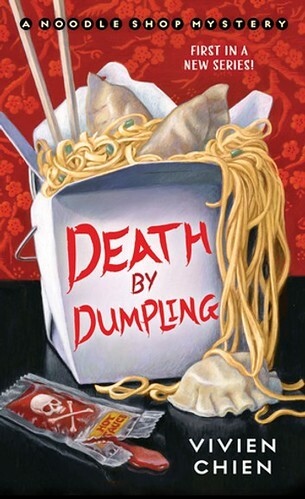 Death by Dumpling sounded like a fun cozy mystery book, so I bought it. 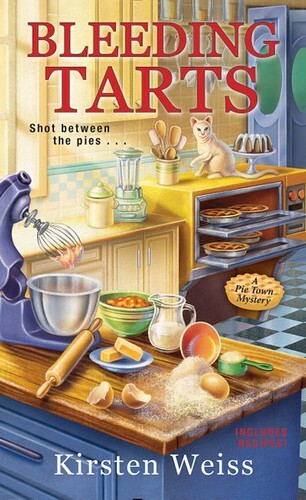 Bleeding Tarts was only $0.99 and while I haven’t read book 1 yet, I decided to buy it for that price. Thanks! I do think the extra sunlight is helping and I agree we probably need some sunlight to function best. It’s nice to have some sunny weather after the grey winter we had. The sunnier days and going outside is helping a bit. 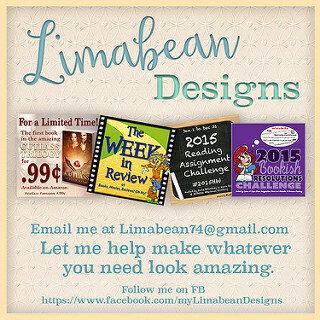 I am going to see if I can take a day off soon, but with my work and routine it’s hard to take much time off. So I try to fit some extra me time in when I can. Sun and lots of light has really helped my mood Lola, I hope your weather continues to get nicer and hopefully it will help you in the same way. Always good to get taxes out of the way! I think the light is slowly helping with my mood. I try and go out for a little bit most days to get a bit of sunlight each day. And it’s always nice to get taxes done. Those ups and downs hit me this week, too, but yes the opportunities to get outside in pretty spring days helped. Sounds like you got some good stuff accomplished this week with taxes done, new work projects finished, and some books read, too. To See the Sun looks good hope the audio is a nice match. Sorry to hear you had some downs as well this week. That’s nice you had some pretty spring days too. It was nice to get a lot of things accomplished this week. 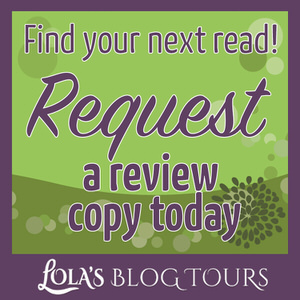 I hope the audio of To See the Sun is a good one, I liked the sample and enjoyed the ebook last year. Sorry things are still a little off. Walking is such a great way to clear your head. I love taking short/long walks to just get a new perspective. I am hoping vacation will clear my head a little. I feel very overwhelmed lately and I have nothing to make me overwhelmed so I hope relaxing on vacation will help. So glad you are still enjoy the pirate series, I wish I liked it more, those covers are just gorgeous! 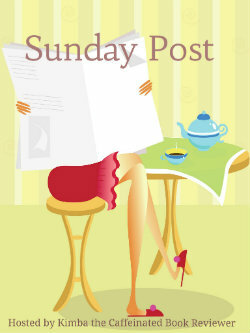 Michelle @Because Reading recently posted…The Sunday Post ~ See ya real soon! ~ Week in READview! I agree walking really is a great way to clear your head and I love walking, so not sure why I don’t do it more often. I hope to keep it up and try to get out most days. I hope you have a great vacation and that it will help clear your head. The covers really are stunning and it is a great series. Having the taxes done is always good. Hopefully you start to feel better soon and get out of the funk you’re in. Thanks, I hope I can get out the funk soon. It was good to get the taxes done. 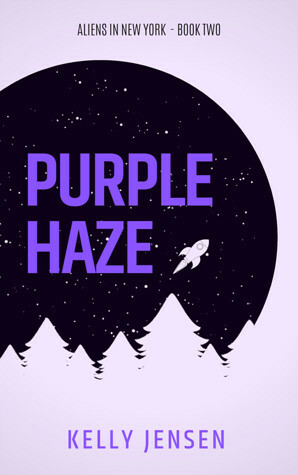 Getting fresh air is nice, I hope it will help with the funk you’ve been in 🙂 That’s cool that you’re gonna listen to the audio of a fave from last year. I’ve been thinking of doing the same. Yay for getting taxes done! It is nice to go outside and get fresh air, I hope it will get me out of the funk. I like listening to audio’s of books I enjoyed. I hope this one is a good one. I love that the weather is starting to get warmer in the Spring, though apparently it’s lightly snowing today, so that’s not fun. LOL Sorry it was a rough week in the beginning but I’m glad it got better!!! I am also happy with the warmer weather. I also like snow, but only if I don’t have to go anywhere. Sorry to hear about your down days. 🙁 I do hope that the extra sunlight gives you the pep you need to have happier days! We also just finished off our taxes right on time. It’s always good to have them done and over with. I think the extra sunlight is helping and I try and go outside most days now to get some more sunlight in. I am always glad to have the taxes done.